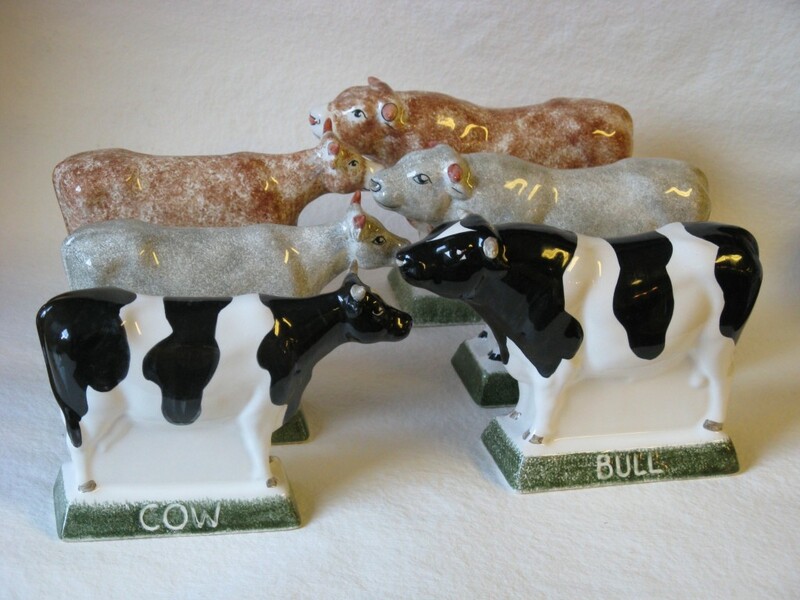 How now, well, three-different breeds of cow actually. 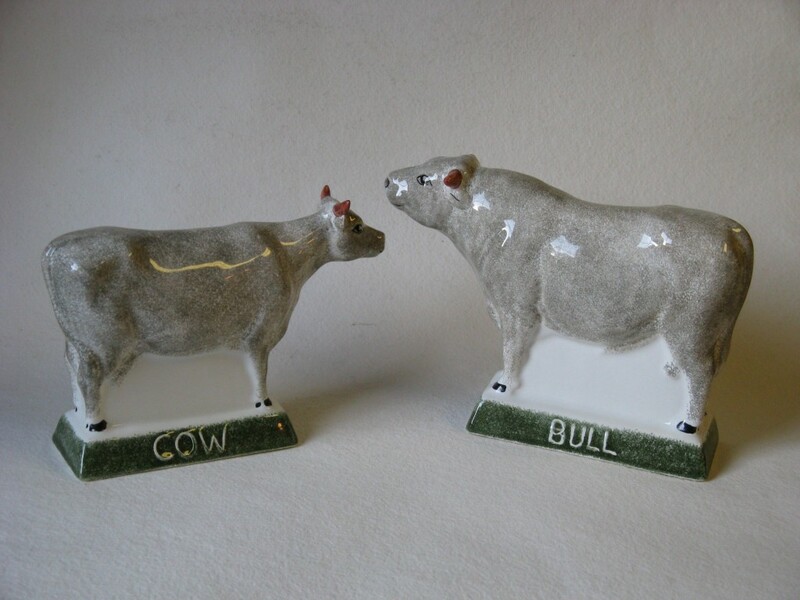 These charming pairs of Bull & Cow are sold separately or together and come in three classic colour-ways, for now. 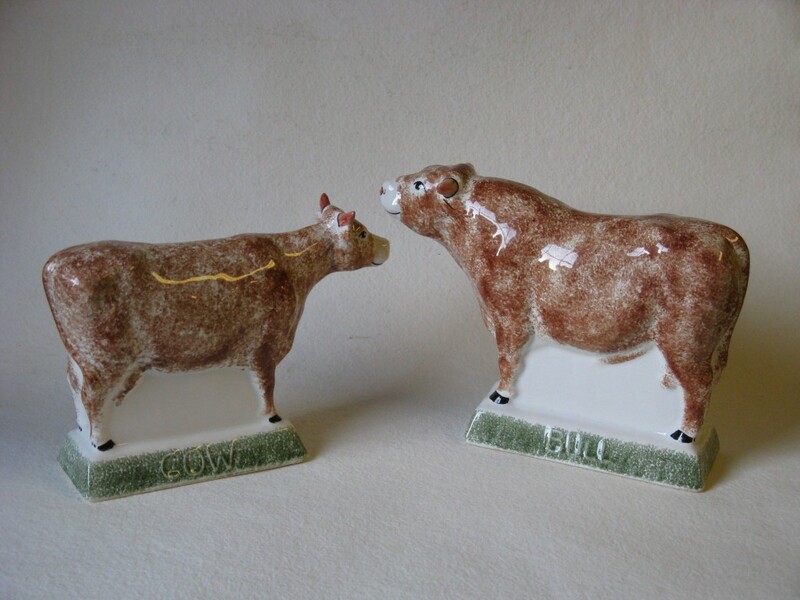 The soft, gentle face of our Cow has melted many a cattle man and woman’s heart, while the proud Bull carries that assured air that anyone familiar with the male of the species will recognise. 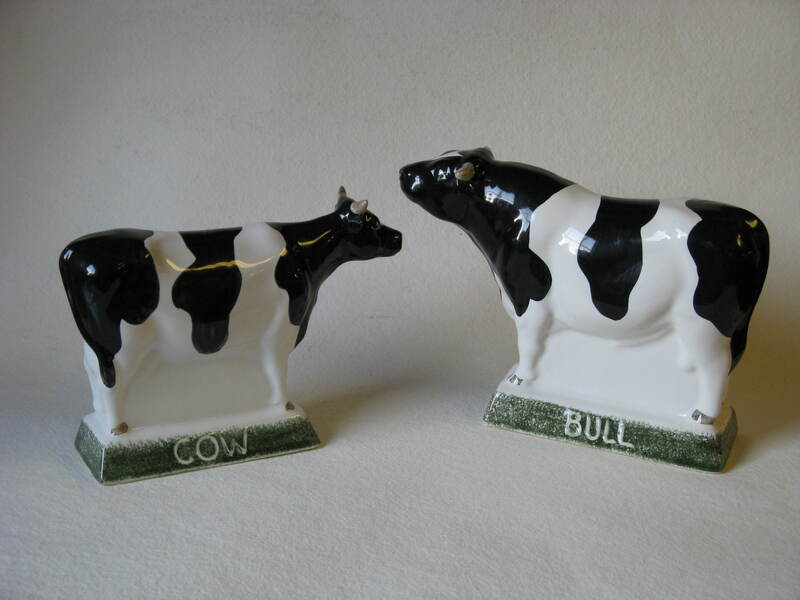 So choose from the classic Black & White Friesians, the soft Jersey pair or ever popular with the local community, the Sussex Cows painted with our classic Chesenut Brown. If you like this pair, why not take a look at our many other animals, we’ve got sheep, goats, chickens and a lot of pigs! 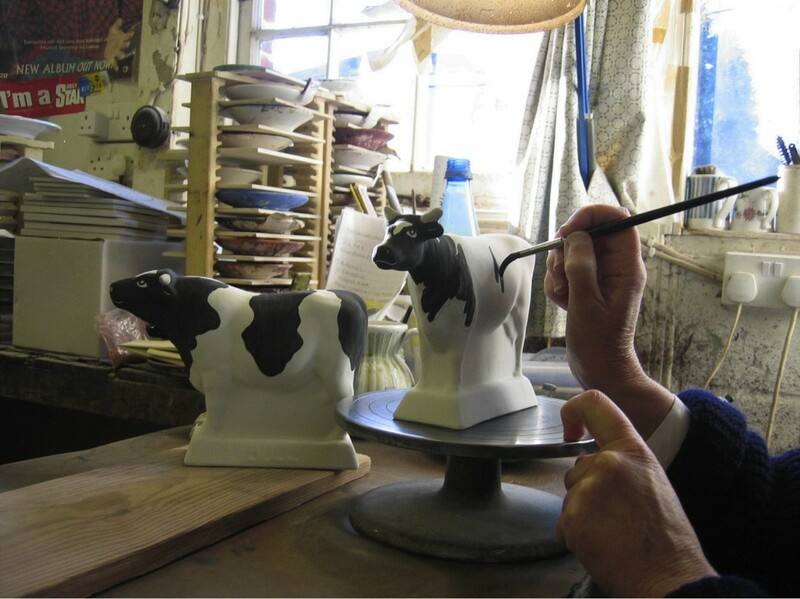 The Cow & Bull were modelled exclusively for us at Rye Pottery by renowned scultpor and ceramicist Tony Bennett.